Dansby lookin Dandy at Vandy! A breaking news update, inspired by Mad Mark Sackler, and brought to you delightedly by Dave during the 2015 MLB Draft. 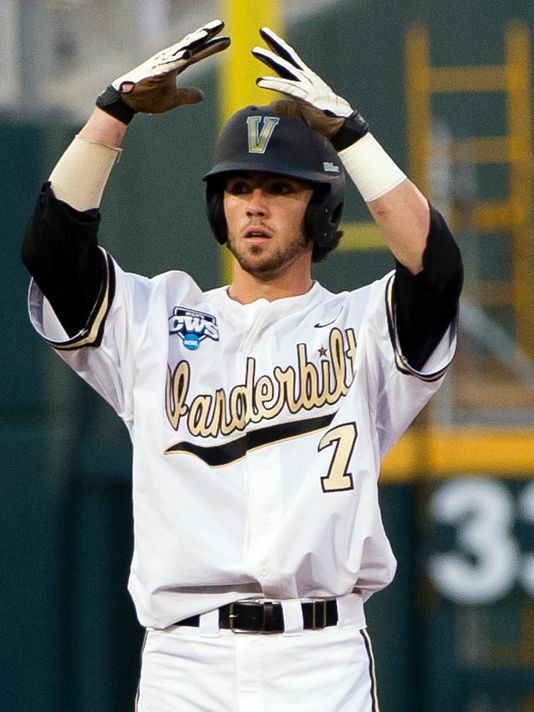 The Arizona Diamondbacks (probably one of the best-named teams in major league baseball), drafted awesomely-named Vanderbilt prospect Dansby Swanson! Best of all, they drafted him first overall! Showing that funny names do indeed finish first! Way to go Dansby! We’re hoping to see big headlines from you for years to come! it’s been a month since Arto posted on the BoFN! A MONTH! What’s up with that?!? He hasn’t even had 4 exams in the last 2 weeks, unlike one of his Blog of Funny Names co-founders! So we must do what we (OK, really just me) do when this happens! And seen him as a caged monster!!! What’s there left to do? Wait…. that was a picture of Miley Cyrus with an Arto-esque haircut wearing a dragon-inspired… thing… crop top, maybe? 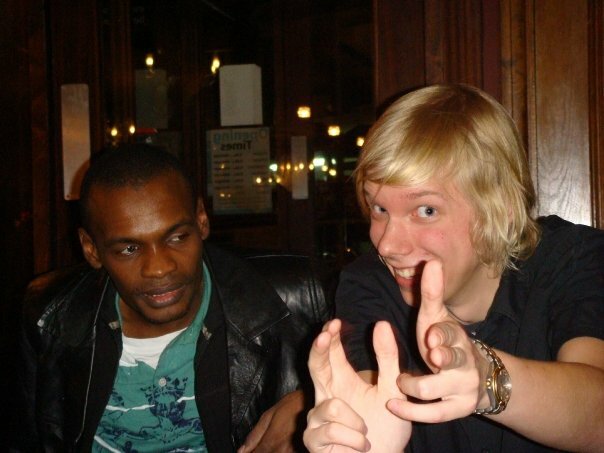 Here’s the pic I was looking for… it’s vintage Arto and some random dude…. picking up chicks or something?!? Yeah, let’s say he was picking up chicks. And clearly being very successful at it! Oh well, even if Arto continues to be a slacker, at least we’ll always have Dansby Swanson – who will hopefully making his MLB debut very soon! This entry was posted in Uncategorized and tagged arto, baseball, dave trolling arto, humor, humour. Bookmark the permalink. Haha, I wholeheartedly agree! He has a bright future! Arto, on the other hand… well, we’ll see! I agree… it’s too bad that the poor guy has a questionable future! That is a good solid masculine name. We know a personal trainer named Dansby. Then you add the Swanson, like Ron Swanson from “Parks and Rec,” and that’s double testosterone. BTW, Danson looked traumatized to be getting fondled by Arto. What’s his excuse? He does have perfect 1977 teen heartthrob hair, though. I love Ron Swanson! He’s one of my personal heroes. He taught me what it meant to be a true American! He’s wondering how he ended up in such a position! The faces of cheaters who wish they’d not been caught! A Dargone Dansby dandy of a report. That was some beautiful alliteration, Bumba! You should publish a book or something! … oh, wait… you already have! Did you add the latter part of this post later? I swear I read this yesterday and there was no Miley Cyrus. I should’ve seen Miley Cyrus if she was there. Hmmm. Always feel so honored with these supposed “shaming” posts. It’s like, “dude, you’re awesome!”. So, that’s cool. Haha, nope, this post has been in its original form ever since the day of its beautiful, immaculate birth! Maybe I should stop these shaming posts – the last thing I wanted was for this to be something that would incentivize not posting! I’ll have to up the shame ante next time, so that it cuts like a knife! I know how easily ashamed you are!